1 unbaked pie shell, bought or home made. Beat eggs in large bowl first then add everything else in the bowl with adding the milk last. Pour into a deep pie plate. Bake in a 375 oven until knife comes out clean around 45 minutes. Makes one deep dish pie. Whip a pint of heavy cream till thick using 2 tablespoons of sugar to topping. Mix together till dough forms a ball, roll out dough to fit a inch pie plate. Makes one top and bottom crust. You can make an extra bottom crust for this recipe. Pumpkin pie is a family favorite in my house. I'll definitely be making this. You can't beat fresh pumpkin. Thanks for sharing! I can't get to some blogs at work and had to wait until I was off, and home, to look over your delicious posts. I'm playing catch up now! This looks delicious. I saved it to my recipe box and voted! Pumpkin pie is the only think I like w/ cinnamon. Great looking piece. It is the perfect fall dessert. i love pumpkin pie,yours is yummmy! i LOVE pumpkin time of the year. you can make so many delicious things with canned pumpkin, including your post! i love pumpkin pie! it goes with all those spices perfectly! Pumpkin pie is my favorite. The local stores haven't had any 100% pure pumpkin lately.. something about the late crop. Funny because I see TONS of pumpkins all over the place. I'll have to make it from scratch. The extra work will do me good. Great pumpkin pie recipe. You should enter this into the Better Recipes Pumpkin Pie Recipe Contest . 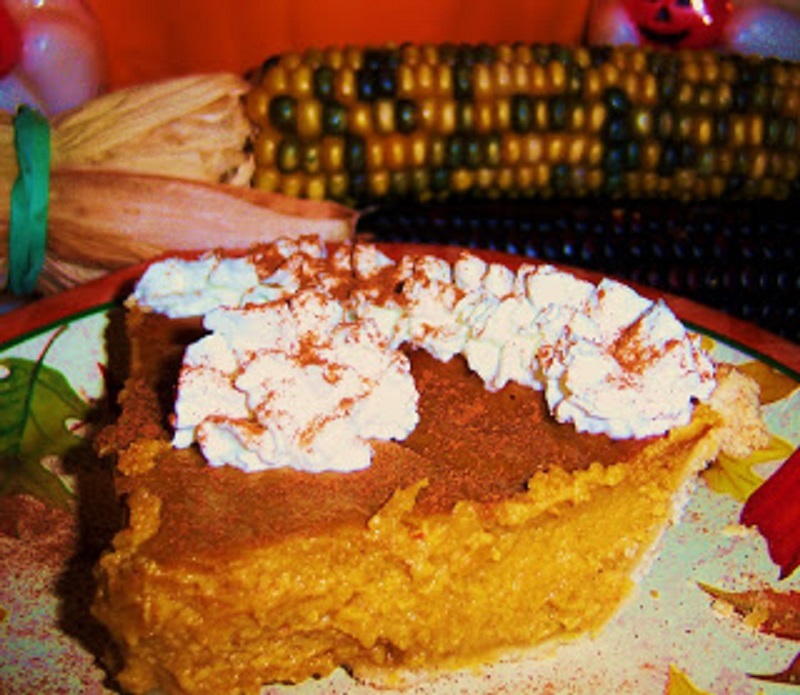 The contest features the best blogger's pumpkin pie recipes. @katy thanks so much for the info and the compliment! I've never tried this one, but I'll try your recipe soon!